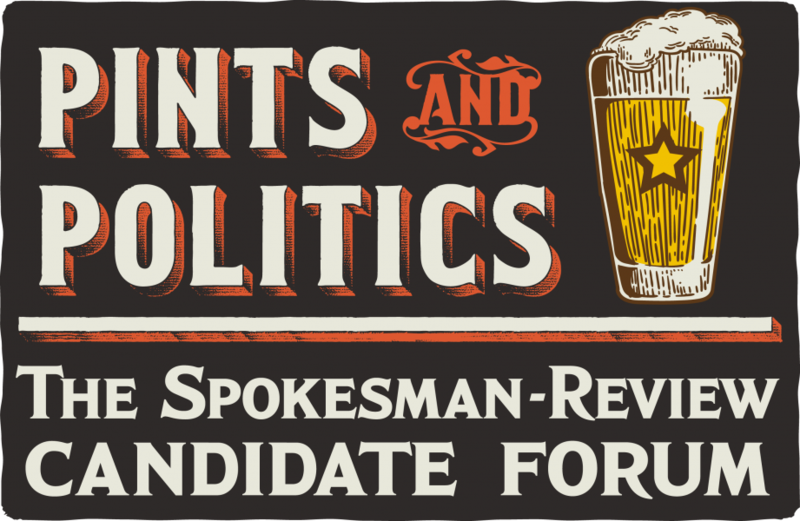 Please join us on Oct. 17 for Pints and Politics, a fun but focused community forum about the issues that matter most to Spokane. The Spokesman-Review hosts a conversation with candidates for Spokane City Council and the Spokane School Board at the historic Washington Cracker Co. Building in downtown Spokane. When: Tuesday, Oct. 17, from 7 p.m. to 9 p.m. Doors open at 6 p.m.
Where: Overbluff Cellars Event Center at the Washington Cracker Co. Building, 304 W. Pacific Ave. Details: The forum will feature Spokane City Council candidates Kate Burke, Tim Benn, Breean Beggs, Andy Dunau, Matthew Howes and Candace Mumm, and school board candidates Jennifer Muroya Thomas and Mike Wiser in advance of the Nov. 7 election. You are invited to share your questions with the candidates. You also can meet editors and reporters from the Spokesman-Review. Beer and wine will be available for purchase. Admission: The event is free but tickets are required. Parking: Free parking is available in the lot immediately to the east of the Washington Cracker Co. Building. Other parking is available on the street.